Hosni Mubarak's departure is not enough. It is just the beginning. 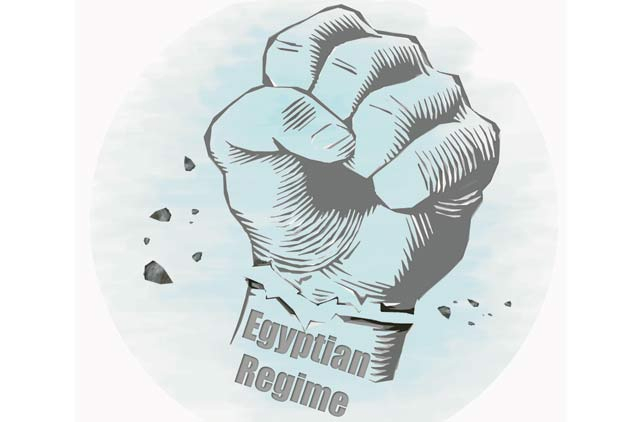 The whole oppressive and corrupt regime must be dismantled; the security state must be undone; the propaganda machine removed; nepotism and corruption stifled, as Egyptians build new foundations for a free and democratic society. The sudden departure of the former Egyptian president, long considered by the West as unshaken symbol of stability, was precipitated by a series of miscalculations. First, the regime signalled early on its intention to use force, instead of its readiness to accommodate the legitimate demands of the protesters. I was in Tahrir Square when, at the end of January, the Egyptian regime sent its F-16s roaring above central Cairo. The noise was deafening but the message unmistakable: the regime intended to suppress dissent and uphold law and order. Two weeks later about 300 innocent people had been killed and thousands injured and instead of restoring law and order, the regime's violent suppression of the peaceful protesters created chaos and galvanised the opposition. The protest movement quickly grew into the largest popular revolution in the modern history of Egypt, demanding the fall of the regime and defying the security apparatus. The second miscalculation was to disguise the pathetic urge to hang on to power as readiness to endorse democratic reforms, provided it was done peacefully and within the established constitutional order. This was nothing short of insulting both to the revolutionaries in the streets and to the Egyptian people. Third miscalculation: The protesters had been demanding the end of the Mubarak regime and a series of reforms to guarantee democratic governance. The regime responded by agreeing to some reforms which it insisted it would introduce. Again, wagering on the relatively inexperienced character of the young revolutionaries, the regime offered Vice-President Omar Sulaiman, Mubarak's closest aide for years, as the man to lead these democratic reforms. But if Mubarak and his coterie really believed in reforms they would have allowed these reforms before the revolution sent shock waves through their regime. Millions of people throughout Egypt have been protesting for weeks and making clear that their demand is the fall of the Mubarak regime; that is the undoing of a whole political order whose beneficiaries survived in power by force, enriched themselves by corruption, and flagrantly denied their people's rights to fundamental freedoms and life with dignity. The discredited figures of the falling regime cannot metamorphose themselves into democrats and claim that they can lead the movement for democratic reforms. The young revolutionaries were not fooled. In fact, the fourth and most astounding faux pas of the regime was the admission by Omar Sulaiman himself that Egypt was not ready for democracy. This should have been enough to disqualify him and other members and symbols of the discredited regime, and to expose not only their incompetence for the democratic project, but also the fallacy of their claims to lead the reform movement. The fifth miscalculation was to believe that the propaganda system could fool all the people all the time. In fact the crudeness of the official Egyptian media infuriated the protesters who, in the last days of the revolution, surrounded the Egyptian Television building — a symbol of the crude propaganda that continued to serve the discredited regime. The Egyptian media disgraced itself in 1967 when during the six-day war with Israel, itthe Egyptian media filled the airwaves with lies about fictional Egyptian victories when in the fact quite the opposite was happening. The Egyptian government-controlled media again discredited itself. During the first days of the January 25 revolution the Egyptian media simply ignored what was happening; then when the popular revolution grew to unprecedented size and could not be ignored, no serious attempt was made to honestly report and analyse the significance of this unprecedented Egyptian revolt. The social and political factors underpinning the revolt — growing social inequalities, denial of liberties, corruption at all levels, authoritarian and repressive rule — never became topics of discussion for the official Egyptian media. Instead, the official media made itself irrelevant with countless legal discussions with experts about the need to introduce gradual reforms, and the constitutional provisions that made such and such revolutionary claims impractical. This was laughable. It may have marked the first time in the history of revolutions that the beneficiaries of the established order tried to stem the tide of revolutionary upheavals with a constitutional argument. What both the official media and the self-appointed arbitrators failed to see is that a revolution by definition is like a hurricane that sweeps everything before it. History has not recorded a revolution that was carried out according to the constitution; nor does it record instances of revolutionaries sitting down with arbitrators and members of the discredited regime to negotiate an amicable end to the revolution. If the young Egyptian revolutionaries were to do that, they would simply stop being revolutionaries and become part of the officially sanctioned opposition. In other words they would become part of the very establishment against which they revolted in the first place. The biggest miscalculation of all was to believe that the Egyptian people would endlessly tolerate continued denial of social justice and democratic freedoms.